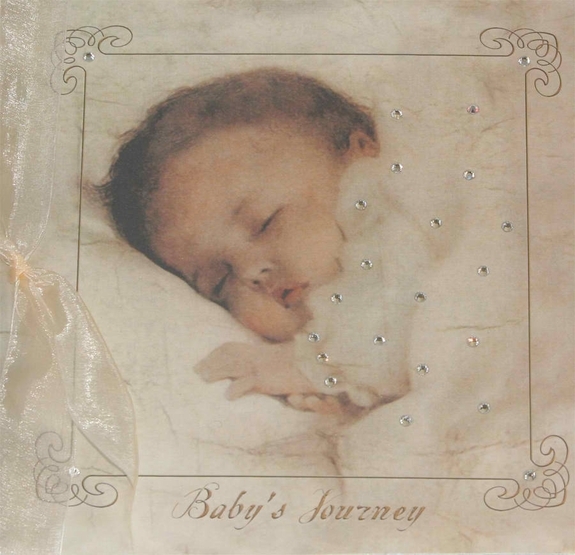 Terra Tradition's Baby's Journey "Baby Dreams" Journal Book with Swarovski Crystals. Selet: Qty123 This item is currently out of stock! "Baby's Journey " is a carefully crafted baby book made to help you treasure the first 3 years of baby's life. Terra Tradition's "Baby's Journey" is a Winner of the iParenting Media award for "Best Baby Book". The perfect gift for Mom! Opposite most pages are blank "Memo" pages for adding baby photos or additional journaling, with up to 200 (4x6) photos. Some pages also have handy pocket for storing keepsakes. This baby album is beautifully presented in a Kraft gift paper box with a large window lid.